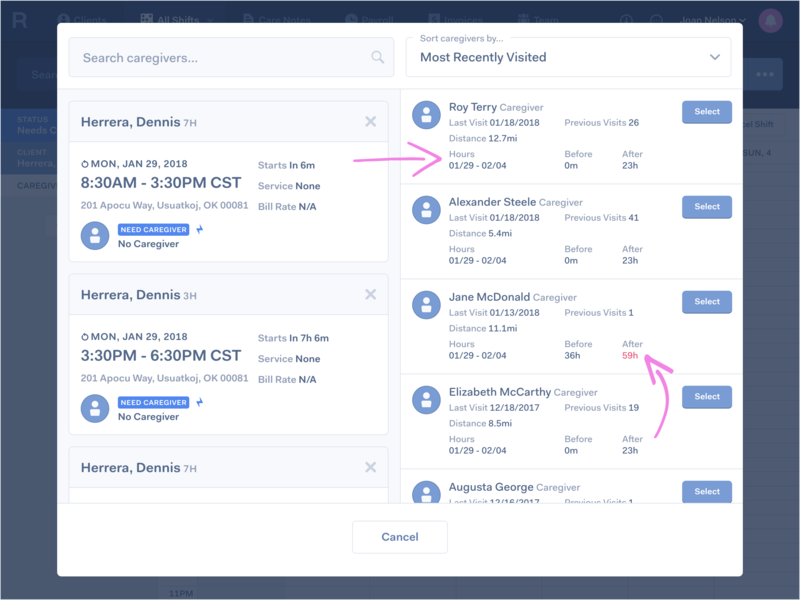 New in Rappora version 3.0.10 is better visibility on overtime when assigning caregivers to shifts and when viewing upcoming payroll. In All Shifts when assigning a caregiver to one or multiple shifts, we now show the before and after hours for every overtime period affected by those shifts. 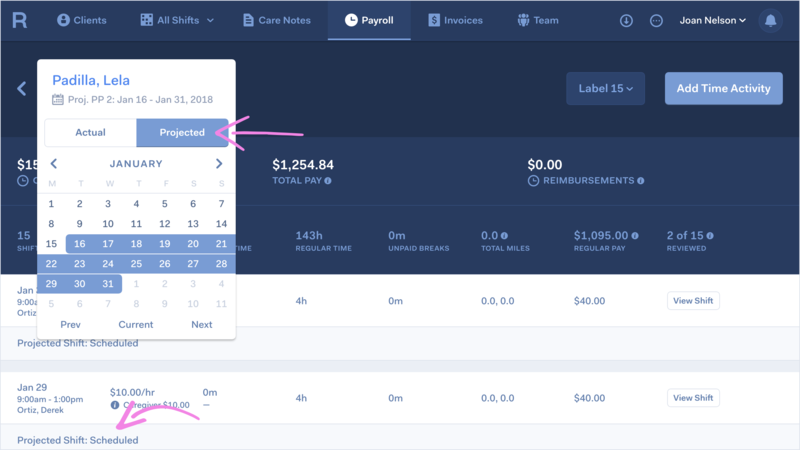 Payroll has a new mode where you can choose to view payroll by actual time activity (completed care notes) or by projected time activity (completed care notes and scheduled shifts). Projecting payroll can be used to see expected hours (including overtime) for the current or future pay periods, for if you need to make scheduling changes based on those expected hours. More information on how projected payroll works can be found here.